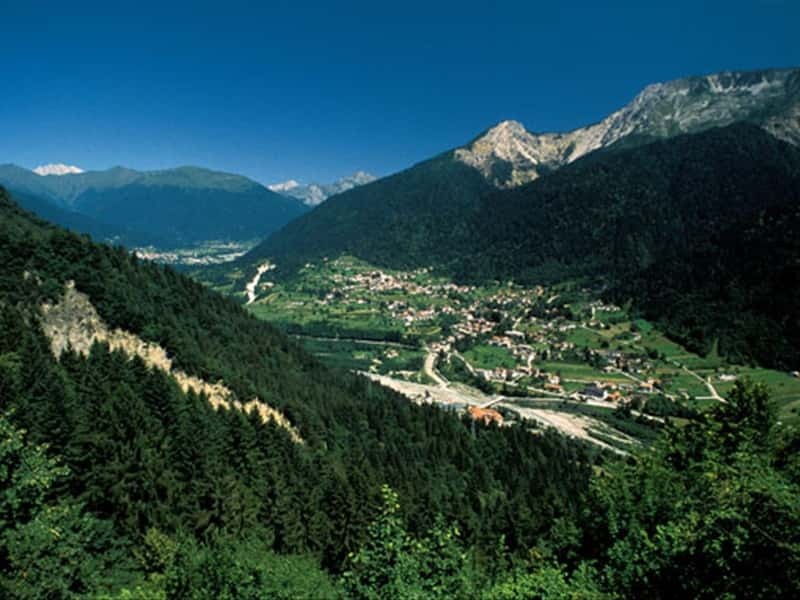 Municipality in the province of Udine, located in the But Valley, in the Alpine region of the Carnia, near to the border with Austria, Arte Terme is a popular resort for Summer and Winter climatic holidays, which features a famous spa and therapeutic center. From Fonte Pudia springs a water rich in calcium, sulfate and sulfur, used to treat various illnesses. The area also offers the opportunity to make memorable excursions, such as the one to the bell towers of Lander, from where it is possible to enjoy beautiful mountain panorama, over forests and vast meadows and other famous ski resorts, present in the area. The discovery of the remains in the area of a Thermal Bath evidence that the therapeutic properties of water of Arte were already known by the Romans in 52 B.C. At the fall of the Roman Empire, the territories were subject to raids of the Barbarians, the Huns and the Lombards and several important and valuable historical relics, such as the baths, were destroyed. In 1870 the first spa center was built which hosted, among others, the famous Italian poet Giosuè Carducci. The Spa centre submitted severe damage during the First World War and was restored only in the '60s and since then it has been enlarged several times. - the Bell towers of the Lander, pinnacles of rock, created by erosion with very special shapes. They are located on the southern slope of Mount Rivo and create an arid and inhospitable atmosphere, the ideal setting, in which the local legends narrate the presence of witches. This town web page has been visited 20,676 times.